Boyne Golf Academy, the golf programming arm of Boyne Resorts in Boyne Falls, Michigan, was recognized as one of three in the Midwest region for its top-of-the-line instruction earlier this year when it received an Editor’s Choice Award for Best Golf Schools and Academies by Golf Digest. The announcement, made in April 2018 and officially released in print in May 2018, was part of the publication’s annual review of the best things in golf by its editors. The Best Golf Schools and Academies is a curated list featuring a mix of locations, experiences, and price-points throughout the United States with one thing in common: top instruction. Boyne Golf Academy has been committed to featuring nationally recognized professional instructors—such as Jeff Roth, PGA professional and member of the Michigan PGA Golf Hall of Fame—who in turn have developed a variety of programs tailored to juniors, women, and men at all skill levels. 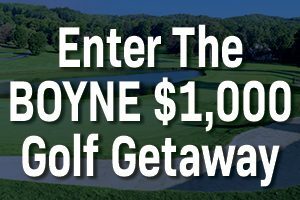 As part of the Boyne Resorts umbrella, Boyne Golf Academy is located at both Boyne Mountain in Boyne Falls, and Boyne Highlands in Harbor Springs. Since 1986, the academy has grown to offer weekly golf clinics, such as short game and full swing; spring and fall golf ready sessions aimed at teaching new players a variety of topics from etiquette, chipping, iron play, and driving, to pitching, putting, and bunkers; a five golf shot in five weeks program; Titleist Thursdays for club fitting and product trials; Nike Junior Golf Camps at Boyne Highlands; and state-of-the-art teaching technology of Trackman and GEARS Club and Body Tracking System. Boyne Golf Academy also offers customized private lessons as well as group lessons.